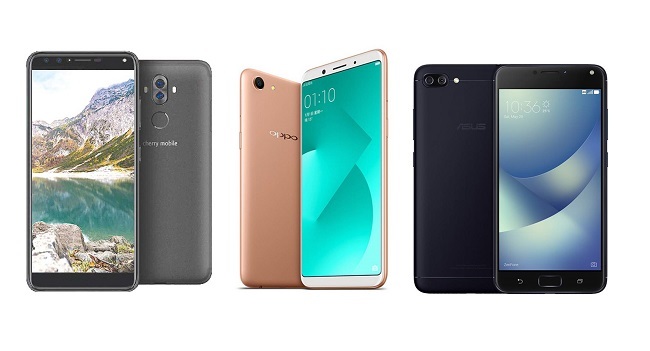 Compare Cherry Mobile Flare S6 Plus vs OPPO A83 vs ASUS Zenfone 4 Max: Battle in the sub-10K Category! Phone Comparison: Cherry Mobile Flare S6 Plus vs OPPO A83 vs ASUS Zenfone 4 Max. Let's see how these smartphones fair up against each other in the sub-Php 9K category. Three of the most sought after brands in the Philippines are Cherry Mobile, OPPO, and ASUS. Each of these popular brands offer premium-like smartphones under Php 10K. Let's compare their respective offering in the said category: Cherry Mobile Flare S6 Plus vs OPPO A83 vs ASUS Zenfone 4 Max. Pinoy Metro Geek: Compare Cherry Mobile Flare S6 Plus vs OPPO A83 vs ASUS Zenfone 4 Max: Battle in the sub-10K Category!